Tucked away amidst lush landscapes at the former Bukit Timah Fire Station along the Rail Corridor, Spruce at Fire Station is the casual dining extension of the original restaurant located at Phoenix Park. Serving a mix of Modern American comfort fare, with a dash of local favourites. Spruce caters to a laidback crowd and larger groups. 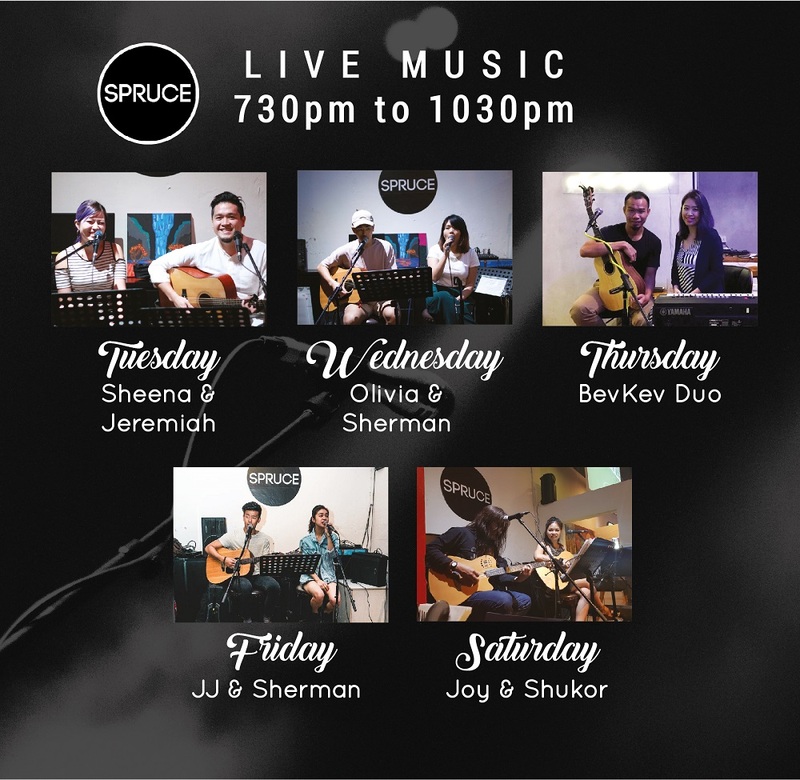 With live music playing Tuesdays to Fridays between 7.30pm to 10.30pm, Spruce at Fire Station is a gem in the West. Your favorite dishes, made available all day long! Our Signature Pastas, Burgers and mains will leave you coming back for more! Start your weekends with us! Our Brunch Menu features hearty favorites and culinary creations that help create the perfect weekend escape from a long week. Come by for the lively yet relaxing ambience and generous servings of comfort food done right. Make your reservation online or call +65 6466 5582 to book a table. Free parking is available. *Our kitchen closes @ 12.00am, any last order @ 11.45pm. Sign up below for updates and first dibs on upcoming events and our latest promotions!